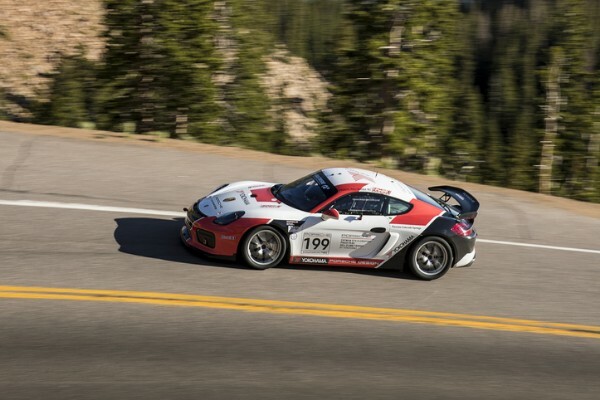 For the first time in the 96-year history of the Broadmoor Pikes Peak International Hill Climb (PPIHC), Porsche had an official class in the “Race to the Clouds”: the Porsche Cayman GT4 Clubsport Pikes Peak Hill Climb Trophy by Yokohama. In addition to the eight invited entries in the mid-engine Porsche Motorsport-built machines, eight more cars carrying the German marque’s familiar crest raced up the 12.42-mile, 156-turn Pikes Peak, Colorado course on Sunday, June 24. As it has since first coming to “America’s Mountain” in 1958, Porsche proved its hill climb heritage in four of the six PPIHC Divisions and Classes with victories in two classes. In the official Porsche Cayman GT4 Clubsport Pikes Peak Hill Climb Trophy by Yokohama class, to the surprise of few, it was three-time AMA Motocross and Supercross Champion, X-Game winner and stunt performer Travis Pastrana, driving the No. 199 Porsche Colorado Springs-entry, who set the best time for the class. The 10-minute, 33.897-second race up to the 14,145 foot high finish line was good for the 25th best time recorded on Sunday. The next quickest elapsed time was turned-in by IndyCar regular J.R. Hildebrand (Boulder, Colorado) in the No. 66 Porsche Colorado Springs-entered 385-horsepower machine. The 2011 Indianapolis 500 runner-up but Pikes Peak rookie’s time was 10:39.301. Porsche Cayman GT4 Clubsport regular Mike Skeen (Charlotte, North Carolina) was third in class and 30th overall – one spot behind Hildebrand in both categories – with a time of 10:40.659 in the No. 21 CRP Racing Cayman. Canadian Tom Collingwood drove the JF Racing of Area 27-entered No. 69 to 37th overall, fourth-place in class, with a run of 11:06.423. CJ Wilson of Fresno, California piloted the No. 982 prepared by Rearden Racing up the mountain in 11:23.853. The time by the principal of Porsche Fresno was good for fifth in class, 41st-place overall. Dr. Alexander Marmureanu (Los Angles, California) was the final finisher in the class driving the No. 10 entered by Rearden Racing to sixth-place in class, 53rd overall with a time of 13:11.856. While the one-make class was Porsche Motorsport’s focus in Colorado, eight other machines carried the banner well for the brand. David Donohue (West Chester, Pennsylvania) won the Time Attack Division, Time Attack 1 class, sixth-quickest of all the entries up Pikes Peak on Sunday. Piloting a specially prepared Porsche 911 GT3 R, the 2009 Rolex 24 At Daytona overall winner turned in a time of 9:37.152. It was the second visit to Pikes Peak of the Client Relationship Manager for Porsche Cars North America. Raphael Astier (France) made a run of 9:53.718, good for ninth-place overall, second in the Pikes Peak Challenge division/Pikes Peak Open class, driving a 2007 Porsche 911 GT3 RS. Finishing with the seventh-best run (11:01.060) in the Time Attack Division, Time Attack 1 class was Fred Veitch (Colorado Springs, Colorado) in a 2001 Porsche 911 Turbo. While not an official Porsche Motorsport-manufactured machine, Porsche factory driver Roman Dumas (France) scored his fifth-overall – fourth consecutive – victory at Pikes Peak on Sunday in the Unlimited Division. The Frenchman shattered the existing all-time record for the charge to the top with a time of 7:57.148 in the No. 94 Volkswagen I.D. R Pikes Peak. The all-electric VW found its beginnings in the Porsche 919 Hybrid LMP1 endurance racer with which Dumas earned both the World Endurance Championship and 24 Hours of Le Mans overall titles in 2016. 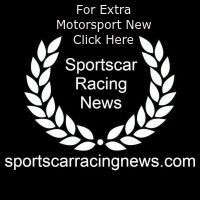 Dr. Daniel Armbruster, CEO/president, Porsche Motorsport North America. “We can be very pleased with the results of this first Porsche Cayman GT4 Clubsport Pikes Peak Hill Climb Trophy by Yokohama class. This was a substantial undertaking and to have Travis and J.R. both turn a sub 10-minute, 40-second time up the mountain is a benchmark that will be very difficult to better when we return in 2019. We have a number of people to thank for this success not the least is Jeff Zwart. Jeff put aside his own attempt for another victory at Pikes Peak to coach our drivers, most of which had never driven Pikes Peak before and some had never driven a Porsche Cayman GT4 Clubsport. Yokohama, Mobil 1, Porsche Design and Porsche Colorado Springs were valuable partners in this as were all of our customer team partners. I also want to give my compliments to David Donohue for winning his division in a Porsche 911 GT3 R. While our focus was on the Cayman GT4 Clubsport class, we all turned our eyes to the bright yellow Porsche Colorado Springs entry when David started his run.